On February 19, 2018, PBS KIDS will premiere PINKALICIOUS & PETERRIFIC (watch a sneak peek here), a new animated series that will encourage children to explore the arts and spark creativity. 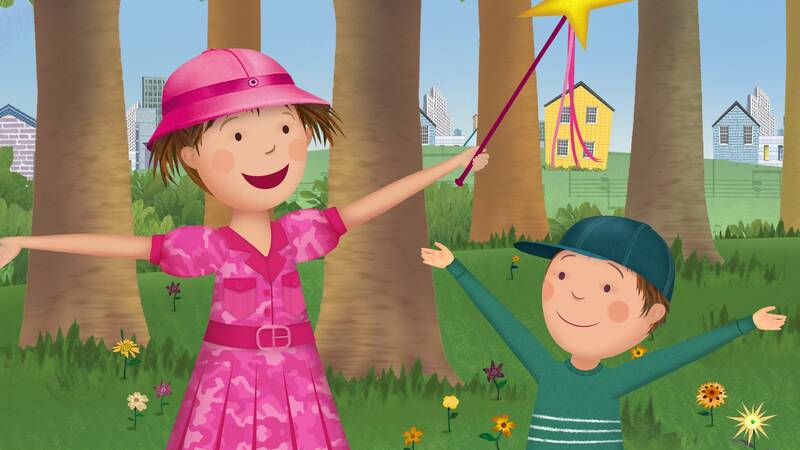 Produced by WGBH Boston and based on the best-selling HarperCollins Pinkalicious book series by Victoria Kann, this new multiplatform media property will be available nationwide on PBS stations, the new 24/7 PBS KIDS channel and PBS KIDS digital platforms. Designed for children ages 3-5, PINKALICIOUS & PETERRIFIC encourages kids to engage in the creative arts and self-expression, covering areas such as music, dance and visual arts.